I have been coming to Sanibel yearly since I was a baby, and my now husband and I traveled there a few times together, making it a special place in both of our hearts. We ate at the Thistle Lodge every time we went, where the food was always fantastic. When it was time to plan a wedding, we knew that Sanibel would be the place. We were thrilled that Casa Ybel had an opening the weekend we had our eyes on, since it wasn’t too far off. 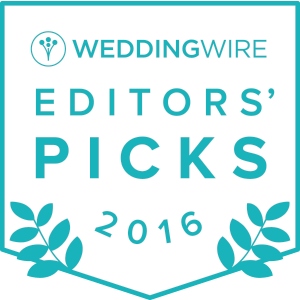 Tori is absolutely spectacular at guiding the wedding process, as well as suggesting great vendors. I even popped in for a visit one day, and Tori was kind enough to give a full tour of the grounds, including the beach site and the indoor reception venue. We had a small ceremony of 21 guests, and it was nothing less than spectacular. The beach setup made a beautiful backdrop for photos, as well as our forever memories. The day was mostly rainy, but Tori watched the radar to make sure our ceremony dodged it. My husband and I decided to do a sand ceremony during, but I had not brought containers; this was realized shortly before the ceremony start time. Tori quickly found nice glass containers for us to use, easing my worries. I only have fond memories of our ceremony and reception; it was truly a magical day thanks to Tori and Casa Ybel. The ceremony site, food, open bar, and staff were all fabulous. I highly recommend having a wedding at Casa Ybel. This entry was posted in Casa Ybel Wedding Reviews, Sanibel Island Wedding. Bookmark the permalink.